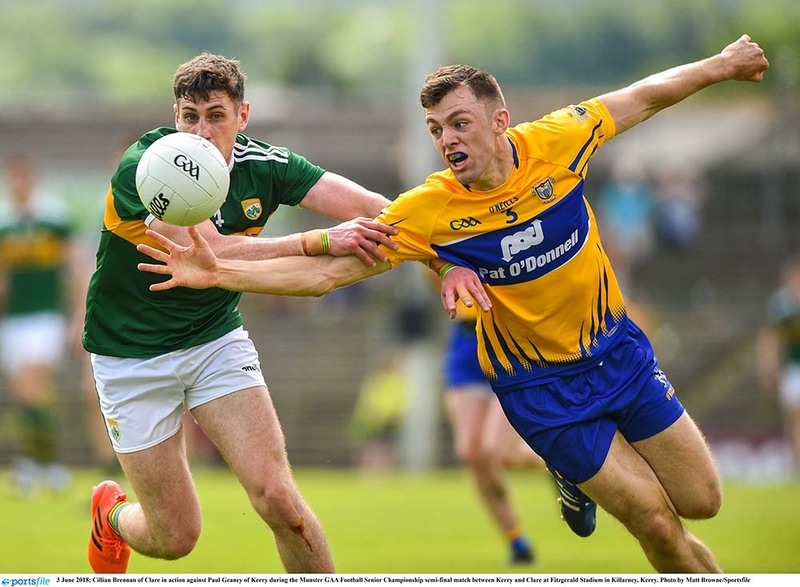 KERRY coasted into a Munster final meeting with Cork on June 23, hammering a very poor Clare in Killarney on Sunday afternoon. Playing in front of a crowd of 16,729, Kerry fielded seven championship débutantes and while it took them a few minutes to settle, once they did, Clare could not live with them and will now to have to lift themselves for the All-Ireland qualifiers. Kerry led by 12 points at half-time, 0-16 to 0-4, having put on an exhibition of shooting. Ironically, Clare’s strongest area, at that stage, was midfield, where Gary Brennan was outstanding while Cathal O’Connor also had some good moments. Clare went into an early 0-2 to 0-0 lead following points from Eoin Cleary (f) and Pearse Lillis. However, Kerry went on a scoring spree with Seán O’Shea kicking 0-5 from play, frees and a 45. Paul Geaney also looked exceptionally sharp at full-forward and raised four first half white flags. Between the 15th and 34th minutes, Kerry tagged on 0-10 without reply as they simply walked through the visitors defence. Clare seemed to lack energy and their support game was not good enough as too often they turned over possession, while Kerry attacked in numbers. David Clifford put over his first championship point, while James O’Donoghue notched his first score since last August for the six in a row chasing Munster champions. Kerry emptied their bench as the second half evolved with Barry John Keane (0-3), Anthony Mahery, Michael Geaney and Darran O’Sullivan, all scoring following their introductions, while Kieran Donaghy also impressed when brought on. Clare were very slack defensively and could not handle the waves of Kerry attacks. Jamie Malone pointed twice for Clare, early in the second half, while Eoin Cleary pointed 0-3, including two frees. 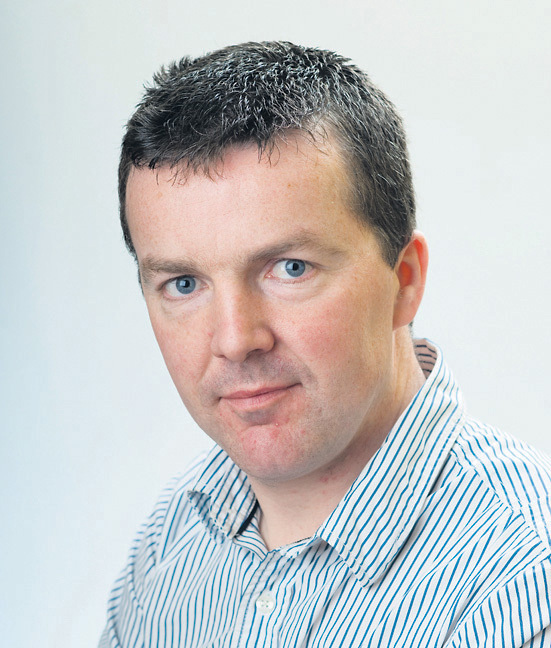 David Tubridy, from a free, was Clare’s remaining second half scorer as they fell to an emphatic 22 point defeat. Subs: Michael Geaney (0-1) for Micheál Burns (46), Barry John Keane (0-3) for James O’Donoghue (51), Brian Begley for Ronan Shanahan (56), Anthony Maher (0-1) for David Moran (57), Darran O’Sullivan (0-1f) for David Clifford (60), Kieran Donaghy for Seán O’Shea (64). Clare: Eamon Tubridy (Doonbeg); Gordon Kelly (Miltown), Cillian Brennan (Clondegad), Cian O’Dea (Kilfenora); Conal O’hAinféin (Éire Óg), Aaron Fitzgerald (Éire Óg), Jamie Malone (Corofin 0-2); Gary Brennan (Clondegad – captain), Cathal O’Connor (Coolmeen); Kieran Malone (Miltown), Eoin Cleary (Miltown 0-5, 4f ), Pearse Lillis (Cooraclare 0-1); Eoghan Collins (Ballyhaunis), Keelan Sexton (Kilmurry Ibrickane), David Tubridy (Doonbeg 0-2, 1f). Subs: Gearóid O’Brien (Kilrush) for Kieran Malone (44), Eimhin Courtney (Éire Óg) for David Tubridy (51), Gavin Cooney (Éire Óg) for Keelan Sexton (56), Éinne O’Connor (Éire Óg) for Conal O’ hÁinféin (59), Conor Finucane (Lissycasey) for Cian O’Dea (65).